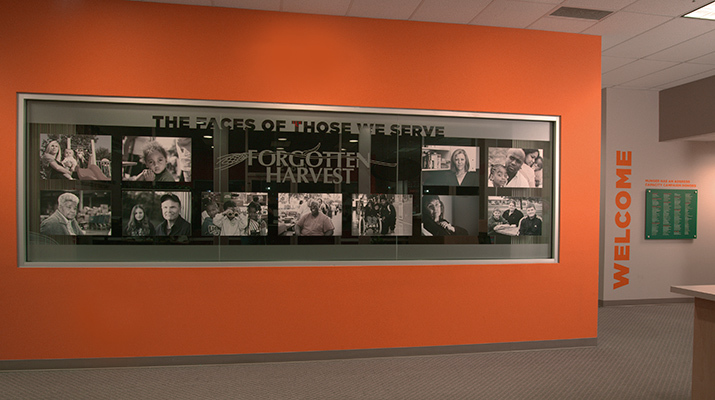 Custom signage in the entrance and lobby were used to welcome volunteer groups and visitors. 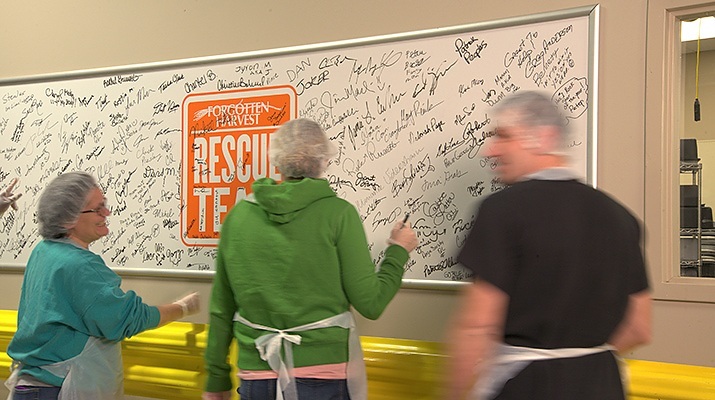 Photos ©2014 Gene Meadows. 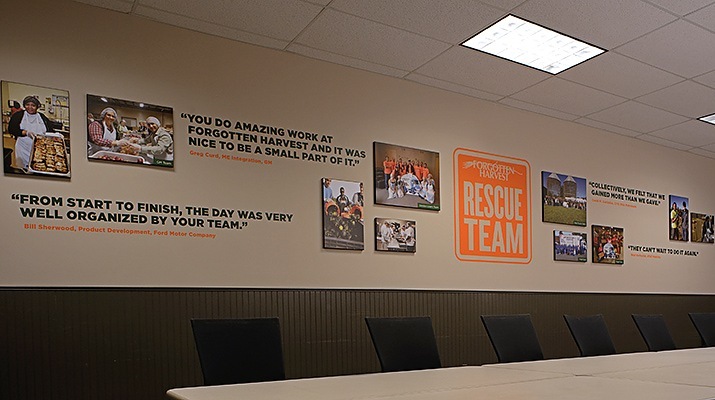 Jon Moses and the team at Ideation completed an interior update designed to move the minds and hearts of thousands of volunteers and donors that walk through the doors of their headquarters and warehouse every year. 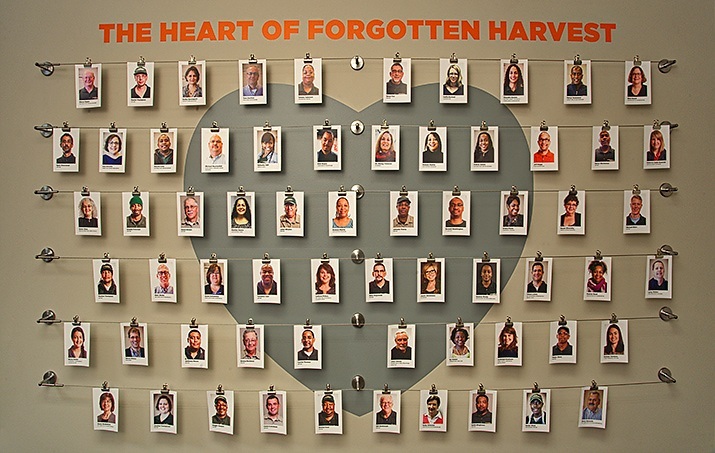 Forgotten Harvest is America’s largest and most efficient food rescue organization. 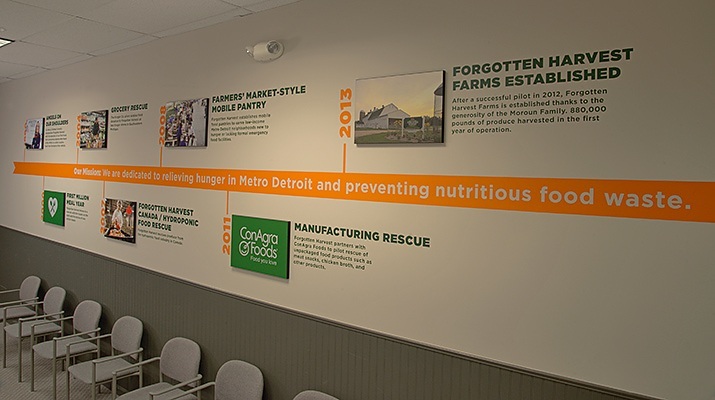 “What we do at Forgotten Harvest is impressive and we wanted to use the building to communicate more of our story to the thousands of volunteers and donors that come to the organization’s headquarters each year. 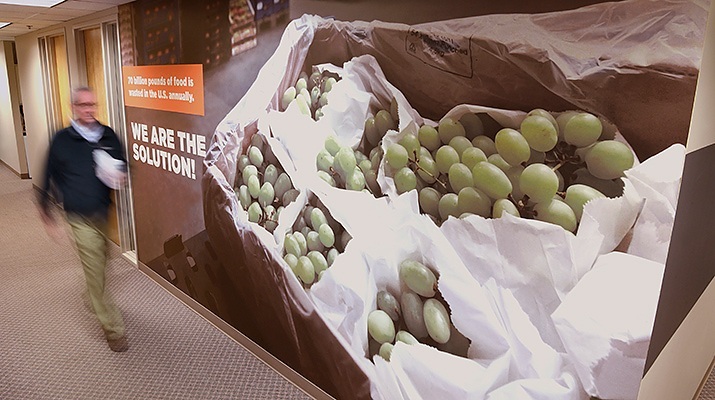 In a simple tour through the space, we wanted to create a natural experience that allowed our guests to better understand who we serve, our history, the scope of our operation and our many innovations. 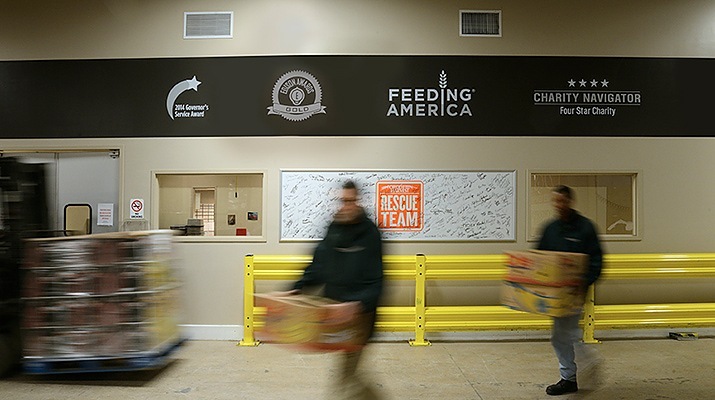 Of course, as the most efficient food rescue organization, we wanted to do this effectively, but efficiently,” said John Owens, Forgotten Harvest Communications Director.